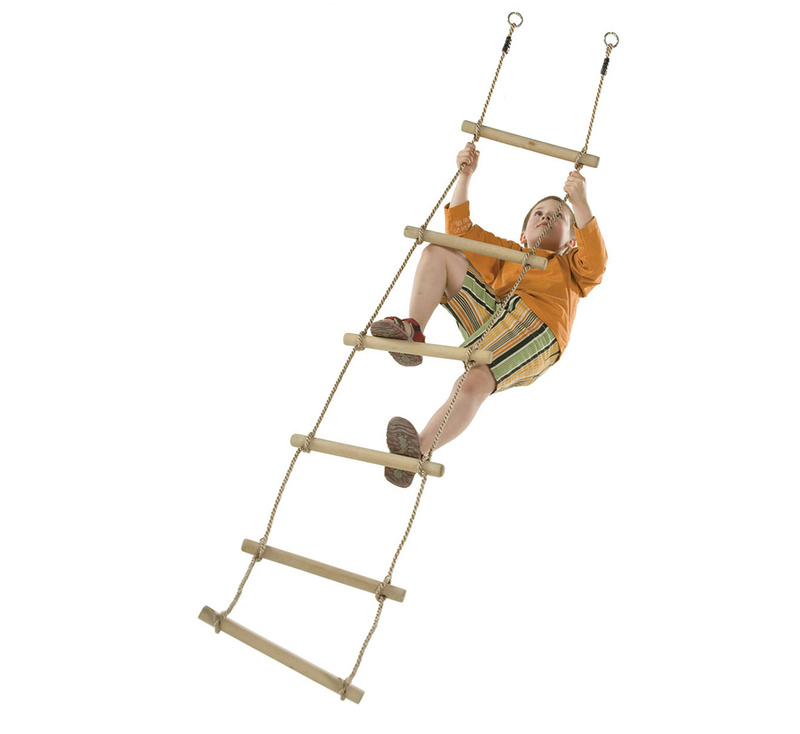 This six rung rope ladder offers your children an alternative element to their swing set. 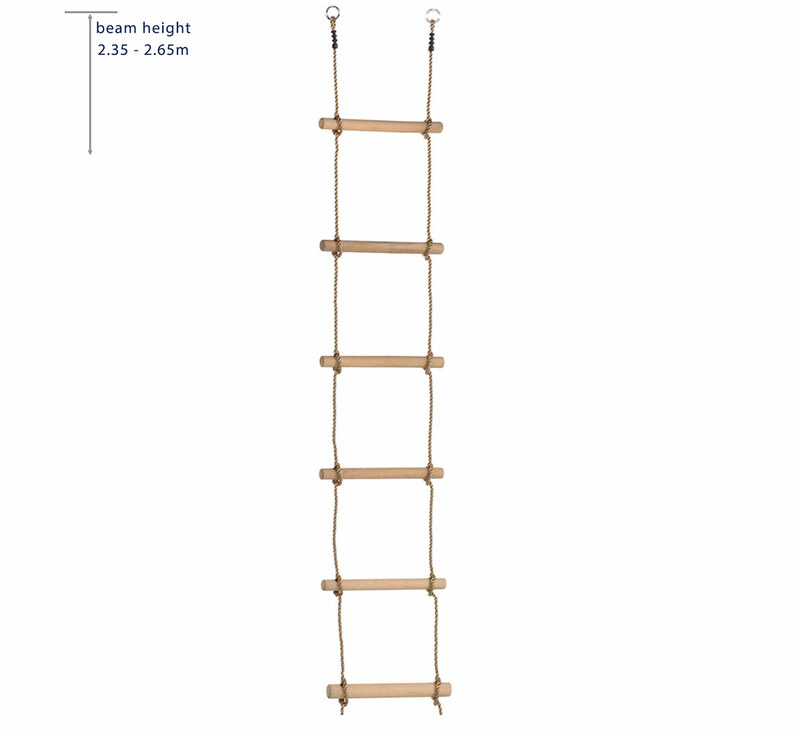 You may already have swings and be looking for something different and this will give them just that - something different to climb up. 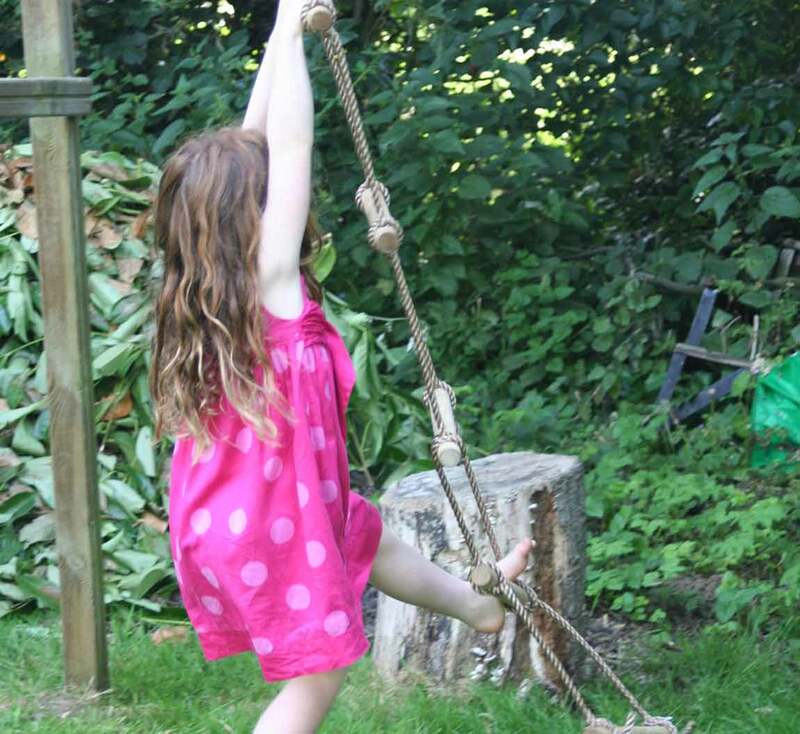 The rope ladder easily attaches to your existing carabiner hook or clip and could also be used as an access point to something like a tree house or playhouse. 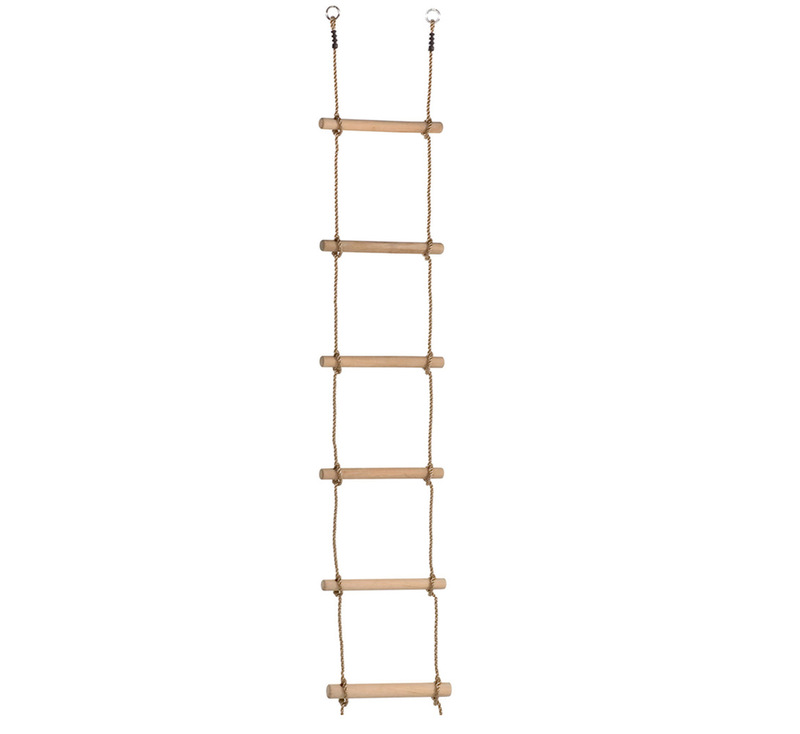 The ladder has six extremely durable and solid rungs and ropes making this last your children a long time. 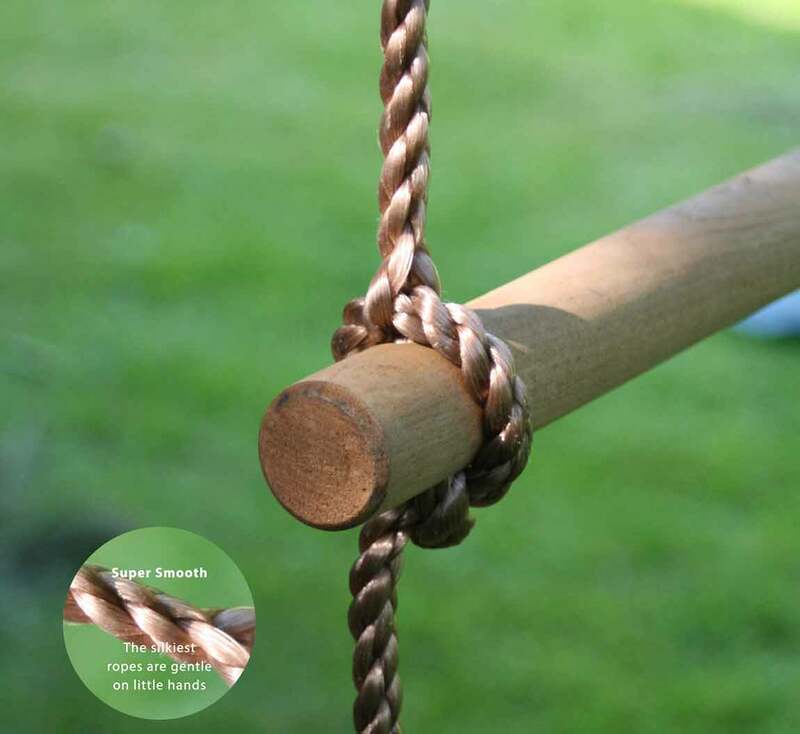 You can even hang this safely from a tree using our tree swing conversion ropes - just add them to your basket in the tree swing section or by checking the appropriate box in the 'You might also want section' to the right here. Safety First - approved according to the latest European directives and regulations. 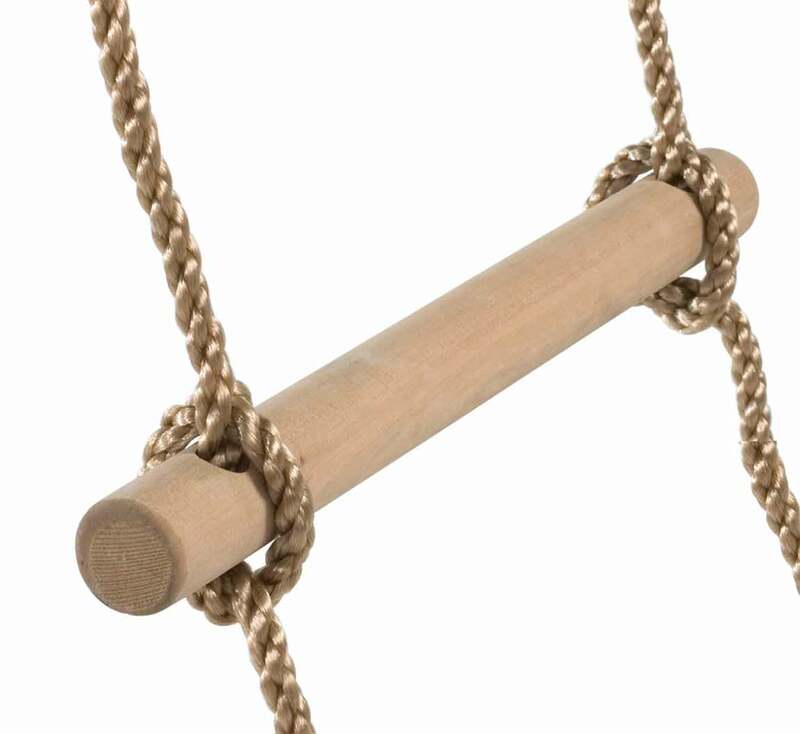 Polypropylene Rope - tested for 200kg breaking strain. Take a look at our bargain package section where you will find some great swing seats packaged up saving you time and money!